Jose Mourinho was recently sacked by Chelsea. JOSE MOURINHO IS keeping his options open when it comes to finding a new club following his Chelsea departure, his agent says. The Portuguese manager was relieved of his duties at Stamford Bridge following a dismal start to the defence of the Blues’ Premier League title, as they continued to drift towards the relegation zone. 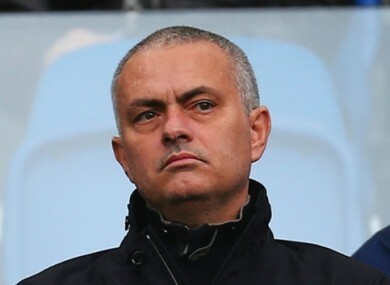 Mourinho is thought to be resisting a return to former club Real Madrid and speculation is mounting that he could replace Louis van Gaal at Manchester United should the under-fire Dutchman be dismissed in the near future. But agent Jorge Mendes insists his client is yet to make a decision over his future, with a return to Italy – where he previously managed Inter – having also been mooted. “Right now he’s in Brazil, we’ll see what happens when he gets back,” Mendes told Sky Sport. “At the moment we haven’t been talking about England, Spain or Italy. Email “'Mourinho hasn't talked about his next club, he must relax'”. Feedback on “'Mourinho hasn't talked about his next club, he must relax'”.